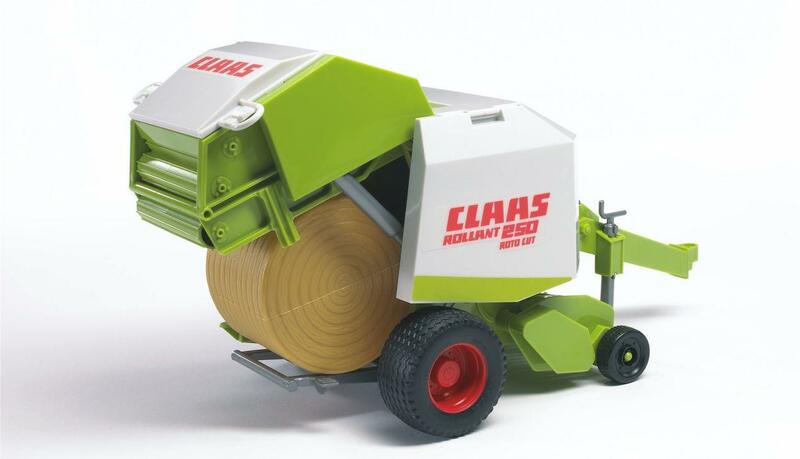 To add to the fun of playing, it can be combined with all the tractors from the Bruder range and round and rectangular baler presses (BRU02121, BRU02017) and the round bale wrapper (BRU02122). 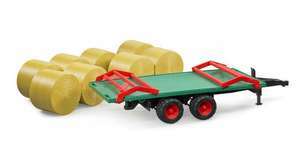 Farmers have to transport the round silage and straw bales one can see on the fields in autumn to their stables and barns in an efficient way. 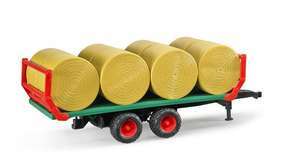 The vehicle they usually use for this kind of transport is a special trailer, which is now included in our product range. Our model is distinguished by its fold-down stanchions and is shipped with 8 round bales. 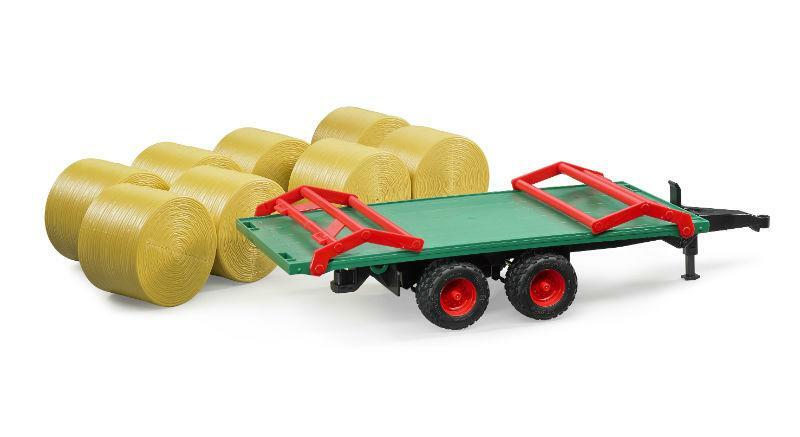 To load the trailers, you can use all of our tractors that are equipped with a front loader and fork attachment, which allows you to combine the trailer with a tractor to form a game set. It's very good. My sons love it. 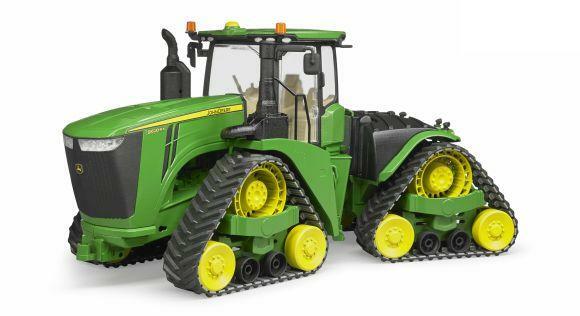 Perfect model for farmers son. Large! Great simple construction and just like the real thing. Bruder toys are brilliant. Hours upon hours of play. Really good quality. No breakages with any Bruder toys after 12 months of 3.5 to 4.5 year old play. Can't reqally say as it is a xmas present so don't know yet, sorry but looks good. Met with approval of six year old expert on farm machinery !